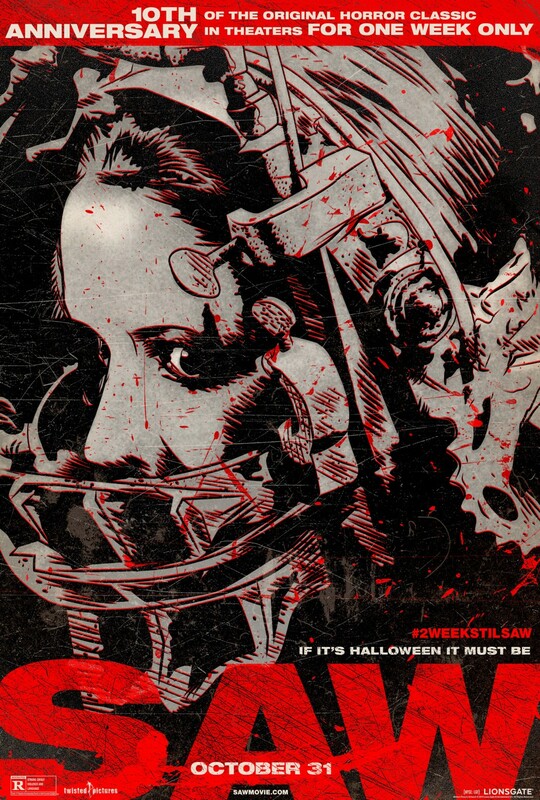 Saw 10th Anniversary re-release mini 13 by 20 inch poster distributed Halloween week 2014. This is the black and red version. ONLY 2 AVAILABLE FOR SALE.